You want your wedding to be perfect. 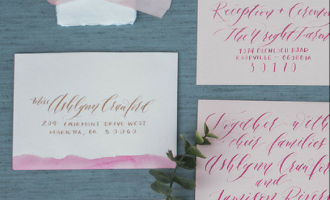 There’s a reason why wedding planning can be stressful to so many people. Well, more like to 99.9% of brides. When it comes to your wedding day, you plan well to make everything perfect. You want to have THE best wedding of the season (and really of all time) among your friend group. Let’s face it, there’s nothing wrong with that. It’s just the way that we were wired as humans. But, it’s more important not to forget what truly matters during this process. It’s not about the show. But rather, you’re getting married to the one whom your soul loves more than anything. Wedding planning is not a prescription for stress. I also tell my brides that wedding planning is not a prescription for stress. Despite what you may think, your guests aren’t going to be looking at your wedding with a magnifying glass to see if they can find any hiccups. Usually the brides are the only ones who know if something doesn’t go as planned on their big day. You and maybe a few others like your wedding planner are the only ones who know what your vision was for how it was suppose to go. 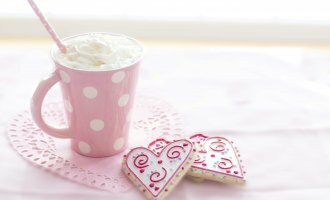 Although it’s never ideal to have something not go as you want on your wedding day, it’s important to realize that sometimes things happen – and some times that something is out of your control. In all honesty, there are a number of things that guests pay far less attention to than you think they do. 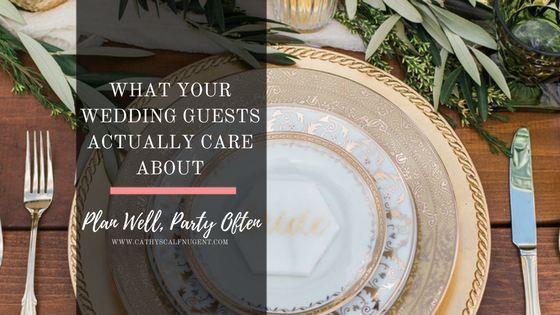 So what do guests really care about (and won’t stop talking about after-the-fact) when it comes to attending a wedding? I mean, obviously. That’s why they’re hopefully attending your wedding in the first place! There’s nothing that tugs on those heart strings more than a good love story. (Hello, The Notebook!) Unfortunately, however, the attention span of today’s society is getting smaller and smaller, so one of the most common complaints wedding guests have is when they get restless sitting through a long, drawn-out ceremony. Every ceremony is different when it comes to it’s length due to religious customs or traditions, but a ceremony of about 30 minutes or less is often preferred among wedding guests. You know when your grandma always told you that the way to a man’s heart is through their stomach? 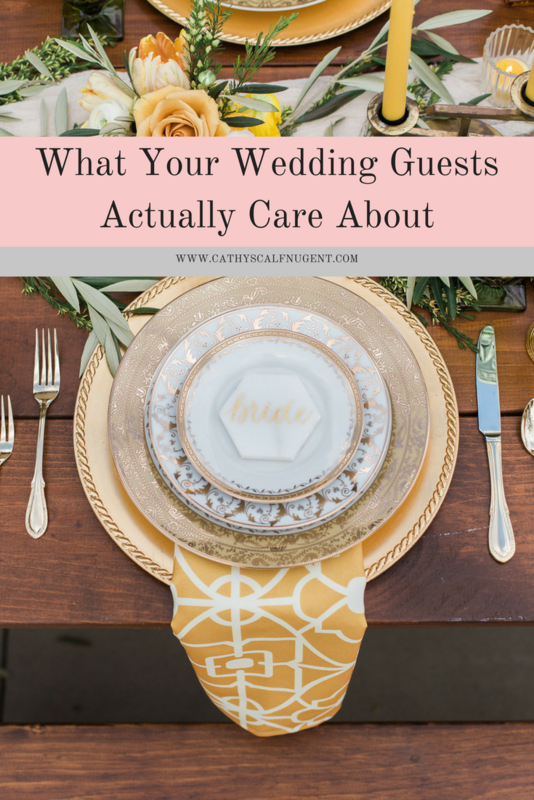 Well, the same is true when it comes to your wedding guests! A fantastic meal will really set the tone and the mood of your guests for the rest of the reception. Not to mention, it will give them the fuel they need to take over the dance floor! Offer a variety of options that are both delicious and serve as general crowd pleasers. Also, don’t be afraid to make the food personal. At my own wedding, one of the many options was chicken and green beans because that was the first meal I cooked for my husband when we were dating. Needless to say, I was trying to impress him with my wifey skills with the best meal I knew how to make. (Which wasn’t much at the time – Ha!) It was a story our families and friends were familiar with, so it made comedic sense to be an option on our menu. Weddings and alcohol seem to go together like.. well, chicken and green beans! Let’s get something straight here too. 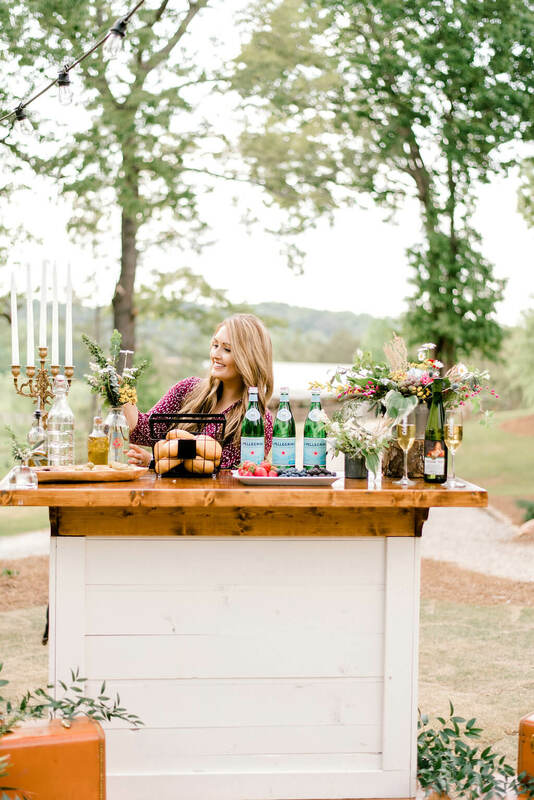 There’s nothing that weddings guests hate more than a cash bar. And, don’t get me started on the alcohol running out! With that being said, you don’t have to have a fully stocked bar at your wedding if you’re wanting to save some money. Having a limited menu of champagne, beer, wine, and maybe a specialty cocktail that you both love is more than enough to keep your guests in high spirits for the night. The music and the dancing is one of the biggest things that your guests will remember from your wedding. Your DJ can make or break a reception. This is why I can’t stress enough for couples to invest in a quality entertainment provider. Don’t believe me? Take a trip to Youtube and search Worst Wedding DJ Ever. Now, when I mention the venue I mean in the most obvious sense. Are you having an outdoor wedding in the dead of summer in the Texas heat or in the chilly months up north? Or is the A/C in your indoor venue not keeping up, and your reception hall is 85 degrees? Mostly, when it comes to your venue, your guests are going to be selfish and thinking of themselves. 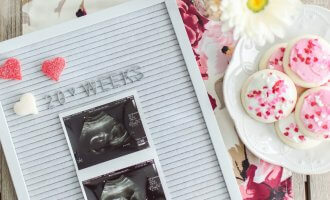 Providing a venue that is both unique and can make your guests comfortable will allow your guests (and you – you have to be there in those conditions too!) to stay longer, have a better time, and remember the experience as a positive one. 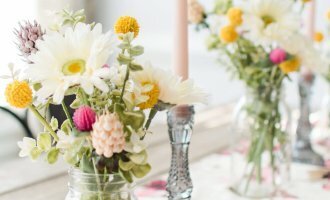 Having a unique wedding venue will also keep your wedding guests talking after-the-fact! Like I’ve said before, your wedding planning is not a prescription for stress. When you find yourself stressed or upset over the smaller details: take a step back, take a breath, and refocus your energy on what truly matters to you. (and your guests if you care what they think!) In the end, regardless of how the day goes, you’ll be married! and THAT is what is the most important! Ah good tips!! These are the top things I actually did think about to make sure my guests are going to be loving for my wedding later down the road. I too was considering making the food more personal! Since we’re both living in 2 different countries I was gonna do a poutine & Carne Asada Fries Bar (Canada & California) at like 10-11pm for the late munchies after dinner,drinks and dancing!! I agree that food and music are key make or break of a good wedding! Also I personally think keeping the speeches short – we have been to a few weddings and the best are when they speeches are short and simple, not long and drawn out! Meg, I’m so glad that you agree about the food and music! I know what you mean about long drawn out speeches. I just view it as the parents having their one shining moment in the day to talk about their babies. It makes my heart melt every time! Food and the ceremony are the biggest parts for me!